Lots of our YNI couples are looking for ways to save money on their big day – because, let’s face it: weddings are expensive! While many of the money-savings options you’d find online or have suggested to you by friends are great ideas, some prove to be more difficult to execute on your own than others. Perhaps the most significant of these is attempting to DIY your wedding flowers. 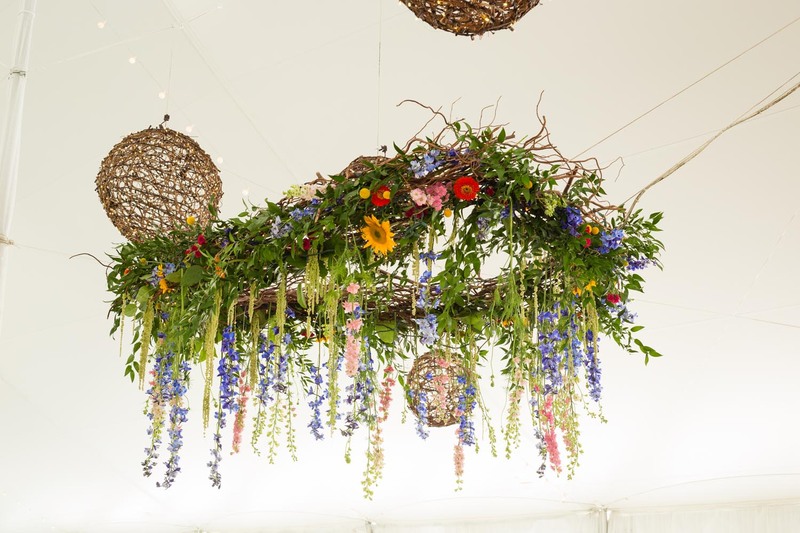 To help figure this out, we’ve collected ten reasons why you should not DIY your wedding flowers..and in the spirit of keeping things interesting, we also shared ten reasons why you should! so you can decide for yourself! 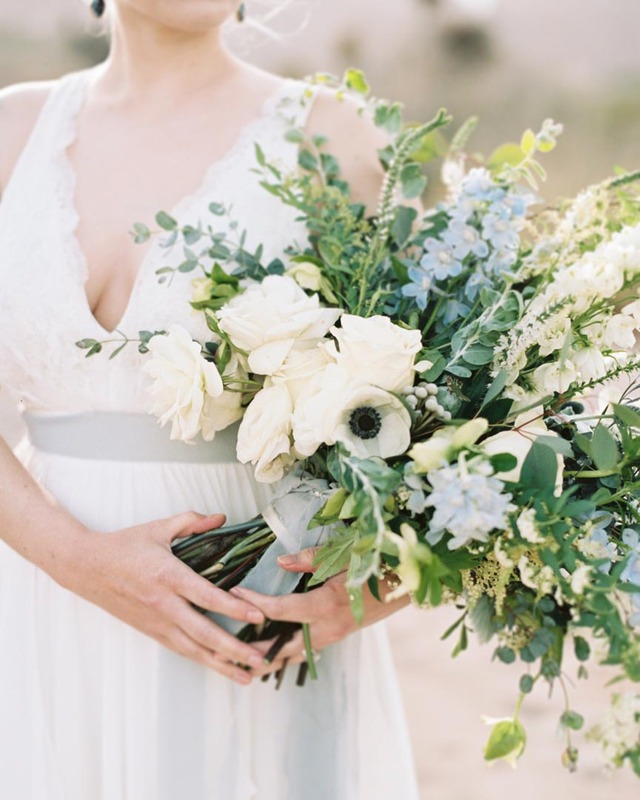 The beautiful flowers were created by Faith of Fern & Foxtail in Santa Barbara, CA. Photo by True Grace Photography. The amount of time and labor required to properly process loose flowers and create enough centerpiece arrangements, bouquets, boutonnieres, and corsages is always significantly more than one might think, and you don’t want to be stressing about your flowers in the crucial days leading up to your wedding! 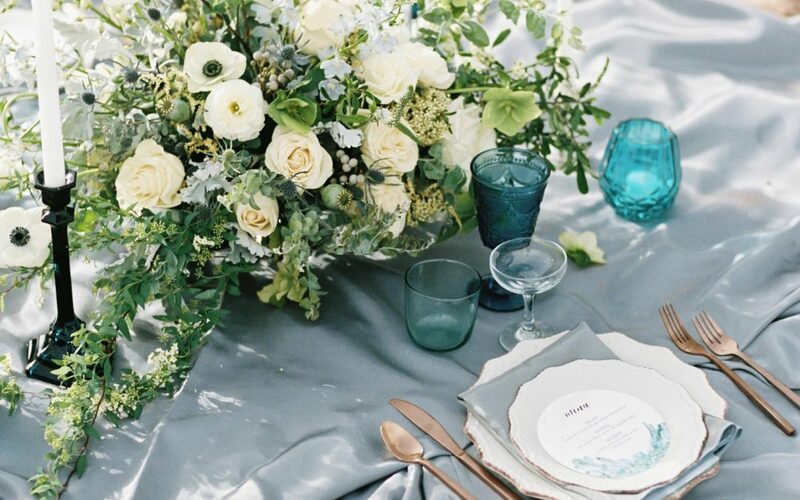 Knowing which flowers are the most durable, in season and affordable, and come in the correct colors for your wedding are all important factors that ensure your arrangements look exactly the way you want them to. A knowledgeable and experienced florist will help with all of this and much more in a way that research alone cannot accomplish. Although it may seem easy to tastefully arrange flowers, a professional wedding florist will know exactly how to make your vision come alive – and how to avoid common mistakes like using a delicate flower in a boutonniere or choosing a super thirsty flower as your main bouquet flower in the dead of summer. Your flowers will be in nearly all of the photos & video taken on your big day. You’ll want them to be perfect. They are part of your ceremony, they will show up in your formal portraits, and in most of the photos taken at your reception – for the sheer amount of times they will show up in your captured memories alone, it is worth investing in them. One thing that many couples might not consider is the difficulty of purchasing the right flowers. Online retailers can be risky as you do not get to see the product until it is delivered to you, and you risk damaged or low quality flowers. If you choose to purchase from a florist or other retailer in-person, you might not know which flowers compliment each other and what filler pieces to use to bring it all together. You may not understand the right quantities to order to ensure you have the best blooms available. And let’s not forget the supplies! You’ll need the proper tools to make your flowers look their best. Investing in those tools for one-time use can be unwise. Another thing to take into consideration is where you will properly store the flowers at the correct temperature, and how you will get them to your venue without causing any damage to all of your hard work. Most of our couples don’t have easy access to the right kind of vehicle to transport an entire wedding’s worth of flowers. This relates to the storage and transportation flowers, but is equally as important. Many florists spray their arrangements with special solutions after setting them up at the wedding to ensure their beauty will last. Do you know how to prepare your flowers so they will last as long as possible looking as good as possible?? Most people don’t. The color of your flowers can make or break the vision you have in your mind. Florists know how to pair different types of flowers with various fillers to emphasize specific colors and create the look you want. Putting wedding flowers together is an art that involves color, texture and composition. Winging it doesn’t really fly. According to one article we found, you will likely save a max of 25% if you choose to buy loose flowers and arrange them yourself. You might be surprised at all the great, reasonably priced florists out there that will work with your vision AND within your budget. In the end, the savings is typically not worth the stress, time, margin for error and hassle you’ll incur trying to DIY this major category for your wedding. Hiring a professional wedding & event florist to handle all of your flower needs (creating the bouquets & arrangements, storing them and transporting them, and setting & cleaning them up) takes a huge load of stress away from you so you can relax knowing all of your floral needs are being taken care of beautifully. This epic design was created by Floral Wonders of Geneva, IL. Photo by Michael Novo Photography.